Do you have a website for your studio? What if your website isn’t sending the message you think it is? What if it’s actually repelling new students instead of attracting them into your studio? I’ve had the opportunity to look at the websites of many teachers, music stores, and music schools. I’ve found that 99% of these teacher websites are information junkyards. It is a teacher site that focuses on studio location, tuition, policies (often the longest page), teacher credentials, academic benefits, studio piano, repertoire, and other boring information that parents don’t care about. I’m aware that this is a bold statement. The opposite of this is being strategic in the message you choose to share. It is being tactical in the angle that you take while sharing that message. I’m referring to websites here, but this is true for any promotional material about your studio: fliers, websites, postcards, social media profiles, print ads, digital ads, or personal interactions. How to communicate with impact: A three-sentence formula for effectively communicating just how awesome your studio is. What to put on your studio website: You don’t need lots of bells and whistles. Just these 6 things to guarantee that you double or triple how many people contact you. How to get parents to contact you through your website: Put this at the bottom of all your pages for an instant boost in students. I want you to think about a fish right now. We don’t need to take a poll… It is safe to assume that we all didn’t think of the same fish. Your background, location, parents, and life experiences influenced your thoughts. If your dad was an outdoorsy type, you might have images of fishing on a lake or ocean. You might actually know the names of many types of fish. If you grew up in the city, you might have a general image of a fish in your head. Perhaps a fish you saw at a zoo or aquarium exhibit. 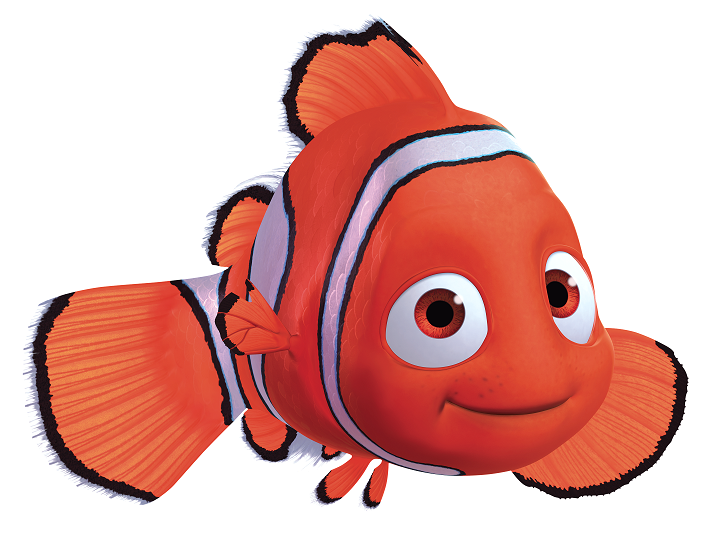 Now, if I told everyone to think of Nemo… there would be no mistaking. We would all be thinking the same thing. Teachers are communicating a message on their studio website. But, parents are not hearing and understanding that message. Obviously, parents do not have that understanding. They did not take lessons for 15 years, get a degree in music, and then begin teaching lessons after college. That’s why they are coming to you! When you do not clearly communicate the tangible, measurable, and specific meaning of words on your website, you force your readers to interpret them for you! The danger there is that you leave to chance what people think about your business, your studio, and your ability as a teacher. You should ask “so what?” to everything on your website. Information Overload. It’s cliché to say this now, but we live in an age of information overload. Our brain compensates by carefully filtering out confusing, boring, or contradictory messages. Emotional Connection. People do not connect emotionally to general, theoretical, internal, conceptual, or broad information. They connect to tangible, external, verifiable stories and facts. Can you even describe it? A phrase like that is the textual equivalent of a “stock photo.” It’s meaningless and inauthentic. Now, what if we asked “so what?” What would that mean? It means that we would describe what an inspired student looks like! What does a student that loves music look like? They’re not clock-watchers. They don’t count down the seconds to when their practice session or lesson is over. They happily walk (or run) to the piano throughout the day. We’ve gotten specific… but what should we actually put on our website? We should tell parents only what they want to hear. I’m saying take their viewpoint. 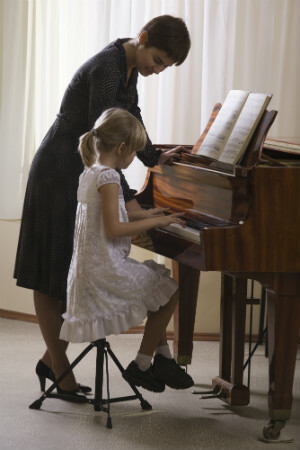 When a parent is looking into piano lessons, what do you imagine is going through their head? What is their goal? What are their fears or objections to beginning lessons? Do you have specific ideas about what’s going through their head? Do you know what they’re thinking? I had been teaching for over five years. I was even marketing a piano camp that saw 200 kids a summer. My assumption was that parents were afraid their children wouldn’t practice enough. 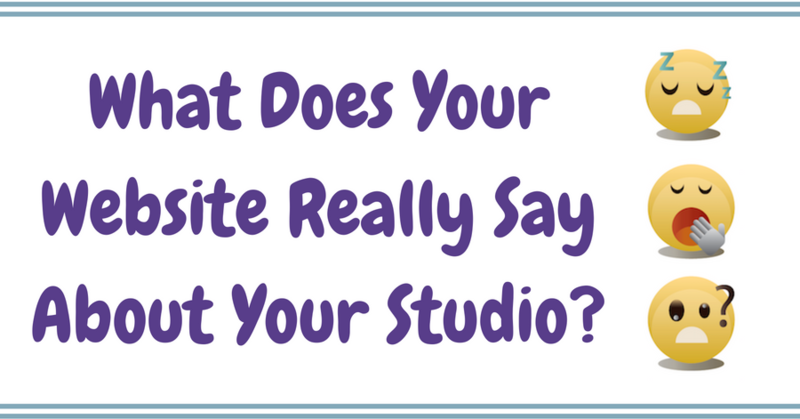 When I actually surveyed the parents in my studio, I was shocked to find that no one said that. I have helped teachers and music schools increase their enrollment, begin group lessons, raise rates, and overhaul their marketing for years now. In all that time, only a small percentage of parents have listed that as a real fear or concern. But, out of thousands of parents surveyed in all these music studios and music schools, I kept seeing one phrase pop up over and over again. In fact, it’s usually around 70% – 80% of parents that list this fear. Now, on its face, this might not seem that earth shattering. But when you really begin to dive into the implications of that statement and how often it appears as the #1 fear or barrier to beginning lessons… it is staggering. Remember, this is 70-80% of thousands of parents in different parts of the world! I can promise you… the same is true of your piano parents as well. Parents like or love music. In most cases, their children like or love music. Parents see the value of private music education. They are even willing to pay for it. They have such a low view of piano lessons, piano teachers, and our profession that their main concern is that we teachers will somehow “ruin” their child. They believe the process of learning music will result in their child’s love for music to cool or (worse yet) completely reverse! They come to our websites. They see our fliers. It’s loaded with OUR credentials. OUR policies. OUR rates. OUR demands. OUR thoughts about what music lessons should be. Uh oh. So far, we have not done ANYTHING to address that main fear or frustration. In fact, all we’ve done is reinforce it. Everything is focused on the teacher and the music. None of it reassures the parent that they were understood. It’s because we have only viewed piano lessons from OUR perspective. If we know their primary concern, then it is possible for us to address it! This goes back to the “so what?” principle. All of the features of your lessons should point back to that fear. For instance, let’s imagine a teacher that is a big believer in Leila Viss’ “Off Bench” system. This teacher has iPads, technology, and other games and resources in her studio. How do we cast this information in light of the parent’s goals and fears? Now, most teachers would stop right there. That’s weak communication. All three parts are there now. First sentence contains the boring facts. Second sentence contains the “So what” answer. Third sentence connects it to the fear or desire of the parent. It provides context for the entire concept. That is your formula for success! In most of my interactions with parents, I listen to the words they say. I connect it back to the 3 – 5 outcomes that I know they want. Even when I’m faced with criticisms or concerns… I seek to connect it back. I use the formula. This isn’t just effective marketing. It’s effective, meaningful communication. It’s putting the customer first. It’s a level of service and care that most people rarely experience… to be heard and respected. The first two points had to do with your messaging. You still need to present the message. Most teachers do (and SHOULD) present that message on a Website for their studio. Most website visitors visit a site and leave without doing anything that you would like them to do. In fact, for most sites over 99% of visitors do not buy, reach out, or engage. How do we turn some of those visitors into customers? Provide a powerful picture of how your studio will solve a parent’s problem. When you do that, parents want to get in touch with you. They want to join. So, it is your job to make it very easy to do that. Professional designers consider it a win if over 2-5% of people fill out the contact form on the site. These same designers have a bag of tricks to help increase that number. Your website only has one goal. To get people to contact you. It is not to educate people on your policies. It is not to show your studio calendar. It is not to show your tuition prices and schedule. It is not to impress them with your credentials. It is not to get them to follow you on your social media accounts. Everything is designed to excite them so much that they get in touch with you. This is why I was able to get 38 new piano students in just 12 weeks during a fall enrollment period. This is why one of the teachers I coach was able to grow her studio by 122% in a 5 month period. This is why music schools get a bump in signups after I overhaul their websites and delete those things I mentioned above. One goal only. Save the details for AFTER they’ve signed up. Anything else is like asking on the first date what you should name your kids. It’s out of order. It’s presumptuous. It’s creepy. You should have big buttons on your page that point towards a sign up form. My recommendation is that all the buttons should say the same thing. It provides a consistent, almost hypnotic presence on the page. When they click this button, it should take them to persuasive landing page or even a simple contact page that highlights the key benefits of lessons in your studio. I will be writing a blog post soon about a 250-student music school whose marketing I overhauled. I completely redesigned their site, marketing copy, and AdWords account. I added buttons and calls to action on every page. The schools monthly lead jumped from 10-15 form fills per month to over 30 per month on a smaller budget! Here’s a video of me doing a studio website teardown with Courtney Downes of Mad Hatter Music in Australia. We walk through her website and find places she can make small, but powerful changes. She learns exactly how to 1) tell parents what they want to hear, and 2) turn her website into a persuasion powerhouse. In fact, she came back to let me know that the website changes greatly improved her studio results! More contacts and calls from new prospects? Grateful, inspired parents that are HAPPY to pay you? Higher income that allows you to invest in your studio, take off an extra month per year, or achieve other goals that you have? Walk the path of making a 6 figure income teaching piano – without staff or being stressed out? If so, I suggest that you get very clear on the message that you are communicating to parents. Make it EASY for them to understand how awesome your studio is! Make it EASY for them to believe that you can do great things for their children! Make it EASY for them to contact you! Do not put barriers up. Do not bore them with irrelevant information. Serve them by exciting their emotions and inspiring them to call or contact you. Surprise! Here’s my contact form at the bottom of this page. Only people who are motivated to make more money teaching fill it out. I’m currently working on a total re-doing of my studio business. Your guidance could not be better timed. Found you on Tim’s site. You’ve made this tedious process much more “do-able” and even dare I say… enjoyable? In reading through the comments, I wonder: for parents who love the nitty-gritty details, would it be counter-productive to have a menu item “all the boring details”? Or do you find that providing those, even as a sidebar, anytime before meeting just doesn’t work out well? I see what you are saying… but I actually want to induce enough curiosity that they want to reach out. In other words, make them feel as if they are missing out… so that they want to contact me. Daniel- Having recently retired from a private school, I am really wanting to build my studio & your information is so timely! I feel a little overwhelmed and don’t know quite where to begin. My goal right now is to develop the website and Facebook page & I am asking a technology-talented friend to help me with my website. In the past, I did not ever have to advertise, obviously times have changed! Should this be the focus right now? I am open to any advice. I really want to do group teaching which will be a new venture for me! There are certain numbers that you are shooting for that reveal if you have a “good website”… if you meet those numbers, then it’s like a license to print money. Obviously, this is super high level… but this is the basic blueprint. I have been following you for the past 2 months or so. I am excited to receive unselfishly all of the knowledge you have about group lessons. (Thank You, in advance!!!) I would like to get your feedback if possible of my website and what I can add or take away that will compel clients to “Buy Now!” I will revamp with the 6 things to add to my website. Just wanted to get your incite. Hi Daniel. I love all the information you share with us and have experienced wonderful results using your idea of a studio calendar for makeups. Now I am looking at my website. I appreciate all that you shared about this. I have information on my site that is geared to current students – news about upcoming recitals, exam information etc. and am now questioning whether this is a good idea. If I focus on prospective students, how do I communicate information to current students (like whether I am teaching this holiday Monday)? I have been using the website for a place they can consult if they are not sure about upcoming events. Thanks for your help! I’m confused, Daniel. You said you would tell me the six things that my website (under development) should contain, but I don’t see them anywhere. What am I missing? Also, I find the kinds of websites you encourage to be repulsive. If I am shopping/researching something on the web, I want details. I want all the information I can get, right down to studio policy, and I would be substantially less likely to contact a studio that did not provide that kind of information up front than I would a studio that did. I feel like they are hiding something. Again, what am I missing, here? Annette, the 6 things were written into the article itself (call to action buttons, the 3 sentence formula, etc.). Also… “repulsive” is a really strong word! You asked what you were missing. I’m not sure you’re missing anything. It sounds like you understand exactly what I wrote. This is what I’ve found… parents who contact me whose first question is price or haggling over studio policies… they typically end up being nightmare parents. I had a total of just two minor disputes over tuition / policy in a 2 year period. This is because I’ve very carefully screened out problem people. This stuff might seem counter-intuitive… but it works! Thanks! My website actually started out as a personal website and graduated to a piano teaching related site. It has evolved over time and I know I desperately need to update it, so it appeals to prospective students. I do get inquiries through it, but I worry that it doesn’t appear very professional. Anita, I got a chance to look at it. If you’d like to have a strategy session about your Web site, just click the link at the bottom of the post. Thanks for sharing! Knowing is only a small part of success… DOING is easily worth 10x the value of just knowing. All these little things add up! Great information, Daniel! Thank you for sharing. Good to hear from you Shauna! Thanks for reading! Thanks, Dima. I enjoy our Skype conversations together! I have been putting off getting a website started,maybe too expensive and I have no idea where to begin. I have always kept about 50 students but have always wanted a website for different reasons. Susan, there are companies out there who will make a basic website for $500. Or, you can make your own with Music Teacher’s Helper… many people have told me that it is VERY user-friendly.